Born from the world's best-worst website, Allwebco Design has amassed a large database of homegrown website templates. There are lots of website who offer web design templates for free, or for a premium. Dependent on what kind of template you’re looking for, you could take a look at ThemeForest, Template Monster, ColorLib, etc. If you know exactly what you need and you’re not after a frilly and fancy website to get them from, head over to Allwebco Design. Erich Vokral, founder of Allwebco Design, started his journey in the 90s. A CAD engineer turned web designer, Erich started off by selling a few web templates. Allwebco Design was amongst the first web template websites around and his templates were selling like hotcakes. Allwebco Design is aimed at users who want more than a small blog or one page website, but not quite commercial scale hundreds of pages. Allwebco Design are unique in the fact they offer mobile templates, as well as responsive templates. “Isn’t that the same thing?” I hear you ask! No, it’s not. A separate mobile website can be built which is entirely secondary to that of a responsive website. You may have seen it before when browsing the internet, a company asks ‘Do you want to visit our mobile site?’. Allwebco Design’s mobile templates are designed to pass Google’s Mobile Friendly Test. The test looks at how easy it is for visitors to use your website on a mobile device. It will also test responsiveness (against multiple devices) and speed. Responsive design enables your website to fit to any device, screen resolution, etc. So, regardless of whether you’re using a PC, laptop, tablet, or mobile, you’ll enjoy the same user-friendly experience. If your website isn’t mobile friendly or responsive, Google and other search engines will penalise you! One of Allwebco Design’s target market are developers. Developers are often looking for a quick and customisable solution for their own client’s needs, outside of the likes of Wix and WordPress. That’s why Allwebco Design’s templates are packaged into a zip format. Developers can easily un-package all of the relevant files and edit them to their hearts content. All you need is a hosting account and you’re good to go! 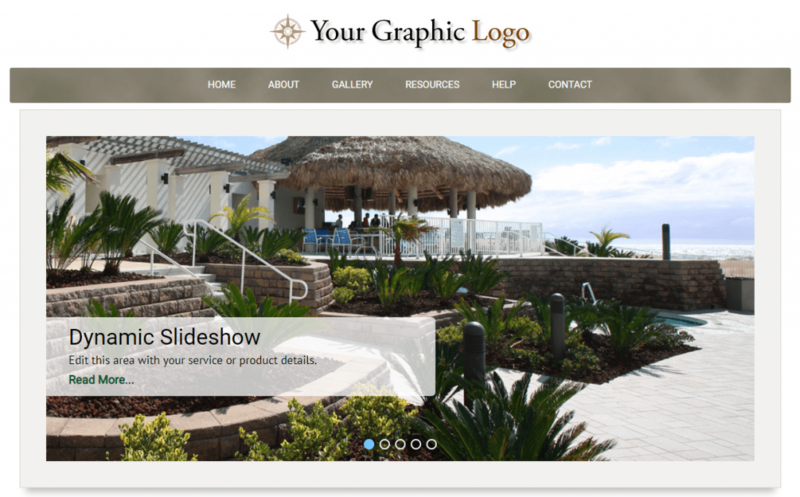 All customers will have access to pre-formatted web pages, scripts, and photos, as shown on their website. The code behind the templates go through rigorous testing procedures to ensure a flawless experience. There are so many templates to choose from. What’s great is that you can search for the type of template you want, e.g. if I type 2018 in the search box, I get 45 results. I can then filter my results by colour and/or feature, so finding the perfect template is really easy. I don’t know about you, but for me it’s really important to see a website template in action. What I mean by that is, being able to see the template being used as a website and having the ability to navigate through it. Allwebco Design make it easy to demo any web template. You can really get a feel for how the template could work for your own website and the different features it offers. Allwebco Design have put in the effort to ensure that the images and functionality on their demos match the type of template being shown. When you get round to selecting a template, you can click for more details. The information displayed shows you the type of template, how many pages it contains, it’s features, and the code used (helpful for developers). What you see is what you get – there’s no hidden fees or extras you have to purchase – simple and professional designs. Stand alone website and associated files. Allwebco websites come in a zip file that can be run straight from your computer. This means you can edit any of the files locally, without relying on a third-party source. SEO friendly websites are a must in 2018. SEO standards are followed in all of this company’s templates and can be seen across their HTML and CSS coding methods. Instructions are included in all template downloads. The whole process is incredibly user-friendly. If you’re not sure about something, their support is extremely friendly and timely. Stock photos are included, for free. I’ve lost count of the times that I’ve seen a great template with photos that I want to use, but can’t. What you see in the template preview is actually what you get. Allwebco Design templates allow you to use a range of features. For example, if you want to implement a shopping cart, you can. Simply navigate to their features list and you’ll find features ranging from drop down menus to slideshow styles. Allwebco Design gives off the vibe that it’s a solution developed from the real bare bones of web design. There’s a definite sense of history in the way the company has developed and evolved. Erich has kept the process simple and effective, and that’s all you need. I’ve lost count of the amount of times that I go to purchase a lovely looking website template but have no idea where to begin or how to use the features. Often the files contained within the downloads amount to a lot of useless advertising and bloat. Not Allwebco Design though – you purchase what you’ve seen demonstrated on their website and get the same result. I think what sets this company apart for me is the feature list. I can’t say I’ve ever seen this before and it’s such a simple idea that could make people’s lives so much easier. Responsive templates, professional designs, SEO friendly, one-off cost – what more could you ask for?